We speak to Elyse Linowes, the founder of multi-family housing design firm Linowes Design Associates, to find out more about her unique practice. Specialising in multi-family housing, hospitality and commercial projects, Linowes Design Associates is a design studio with over 15 years of experience; based in Washington D.C, in the United States, the practice was founded by commercial interior designer Elyse Linowes. Already well known in her own right, Linowes set up the studio in response to the need for higher quality and more creative design, which she felt was missing in the sector she worked within. 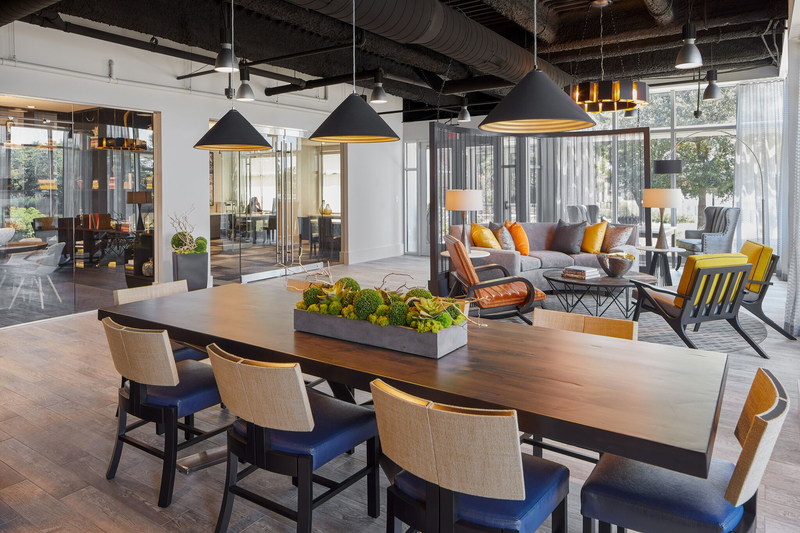 Linowes Design Associates has since gone from strength to strength, with its previous projects being covered in The Washington Post – and one that was featured on the US television show House Hunters, as the winning property. Working with each of its clients to create a shared design vision for their project, Linowes Design Associates is renowned for its attention to detail and stunning results; so we sat down with Linowes to find out more about her design studio, and why she decided to go into the multi-family market. How did Linowes Design Associates begin? I started Linowes Design Associates in 2002, seeking to fill a void in the interior design industry for the multi-family market. We had something new and unique to offer our clients - and positioned our business philosophy and client protocol very differently to that of our competitors. There are many components that we draw inspiration from throughout our design process; the exterior architecture of each property, especially those with distinct design styles, is one of the first elements that we try to incorporate into our design. By including elements of the properties’ exteriors in the interiors, we can seamlessly create designs that feel cohesive throughout the entirety of the property. The surrounding area and demographics of our target audiences also heavily influences our design direction. 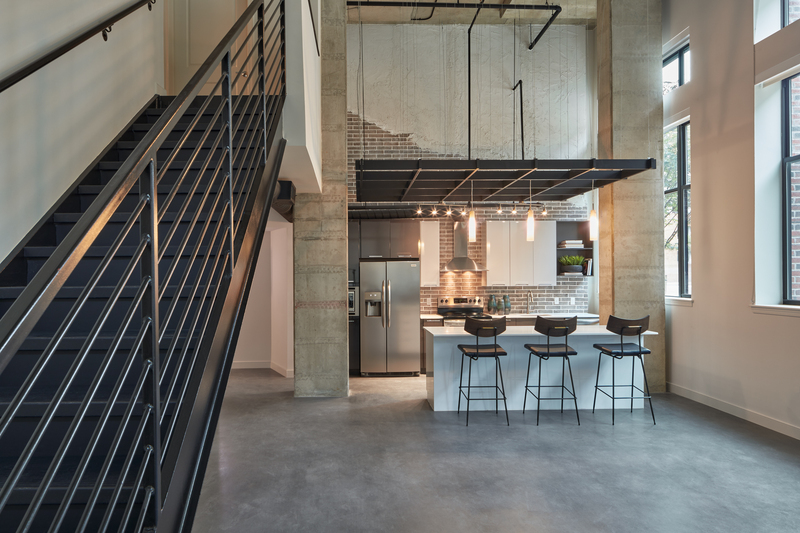 For instance, if we’re designing a multi-family home that’s located in a big city, we would be more inclined to incorporate industrial design elements, such as exposed brick, reclaimed wood, metal beams and bold steel accents. Our design direction would shift if we were working on a property in a smaller community that valued more classic design. Favourite part of the design process? The brainstorming and conceptual design phases are always very exciting - we work collaboratively as a team and let our creativity flow freely without restriction. One overarching goal that we have for all projects is to create a fully cohesive design that flows naturally throughout the property, which is why we have a consistent design team for each respective project. Working closely as a team is what contributes to the success of our designs, making all brainstorming and collaborative moments truly enjoyable and worthwhile. Most challenging part of the design process? While we wish we could implement all of our out-of-the-box, distinctive ideas into our projects, it’s crucial that we stay within budget and the full programming scope. Adjusting our designs and determining which elements are priorities, and which aspects of the design can be achieved or need to be cut, can be extremely challenging. That said, it’s a necessary part of the process that helps us to create spaces that fully meet our clients’ needs and are reflective of our diverse design style. How did you get into the multi-family market? I began my career in the residential design field many years ago, when one of my residential clients happened to be a multi-family developer who brought me on for one of his projects. This opened the door to more multi-family projects; I continued to grow my career in the multi-family space, working with him and a variety of other developers. Are there any specific challenges for this market, compared to working in commercial interiors? There are several challenges that differ from those faced in the true commercial market. 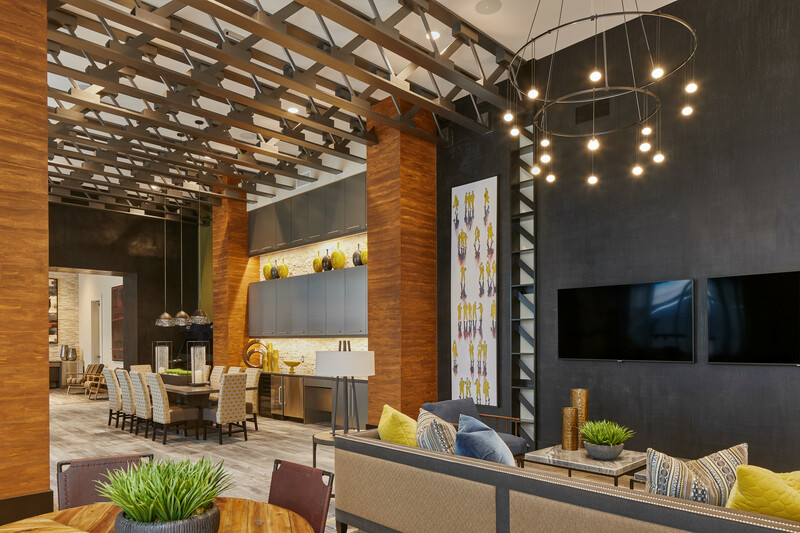 With multi-family properties, we are creating amenity and unit designs with a resident in mind - it’s imperative to approach multi-family designs with residents’ emotions, comfort and other residential needs at the forefront of the design process. Making a space feel like home is always a priority; it’s completely different - and often more challenging - than designing a work place or retail environment. What makes Linowes Design Associates stand out? Our firm brings variety and originality to each design—no two projects are the same. Each project is custom designed for the respective developers, geographical area and potential resident, making each development truly unique. There are many design firms that prefer to incorporate a recognisable look that is specific to their brand. We like to offer a more personalised service, with our design and finished product geared towards the developer and the brand they wish to portray. Tell us about one of your favourite projects? There are many projects that stand out as favourites! 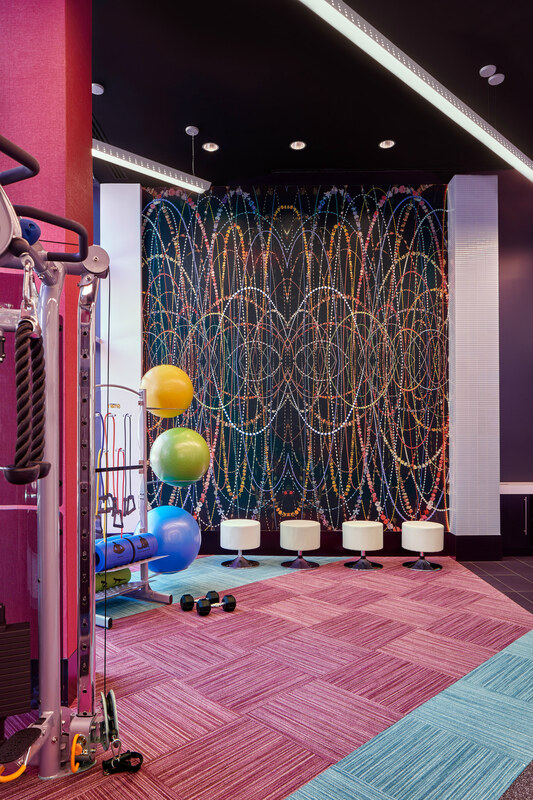 In regards to new construction, the recently completed Latitude and 672 Flats - both located in Arlington, VA and developed by The Penrose Group - are very special to our firm. While both of these projects included challenging lot configurations and building footprints, they are completely different from one another in terms of the design, which showcases our firm’s diverse creativity. Both properties leased in record time and have been very successful since opening. 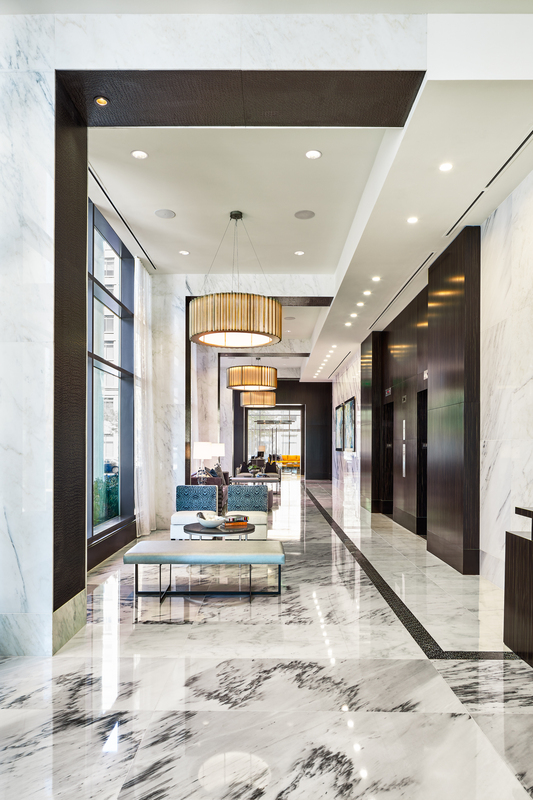 In terms of renovations projects, Connecticut Heights - located in Washington, D.C. and owned by Equity Residential - stands out as another favourite. The transformation is tremendous in both the design and programming accomplishments. What’s next for Linowes Design Associates? We have already expanded our design services to several states in the US, from Florida and up the east coast, hitting Delaware, New York, Philadelphia and Boston. We’re looking towards expanding our geographic presence, as well as maintaining our excellent relationships with our existing multi-family development clients.